I’m thinking it might be time to upgrade the ‘ol NEOINY hideaway with a Kitchenaid stand mixer, equipped with all the meat grinding attachment works. (I’m browsing them on Ebay right now.) 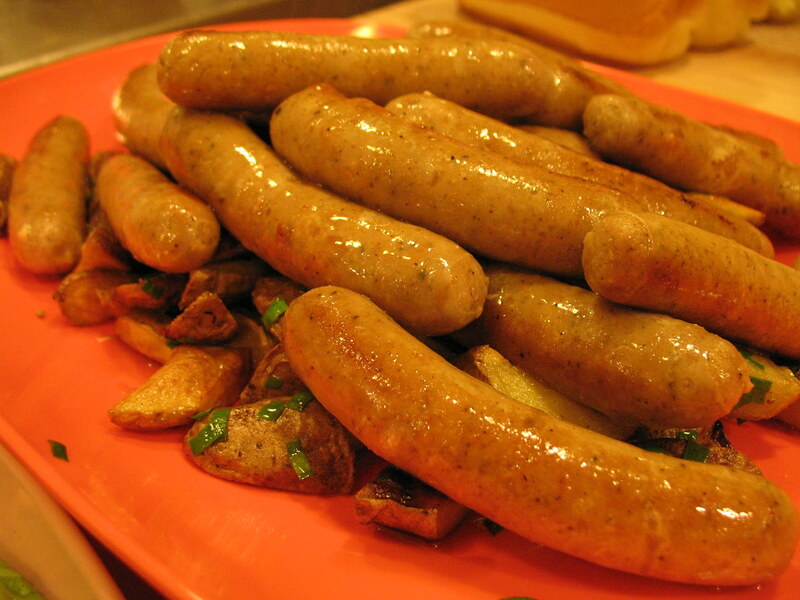 The motivating factor is right above: luscious, freshly made, and deceptively simple sausages. Who knew that with the right tools, making sausage at home actually requires little time, prep work and just a few odd ingredients (i.e. hog casing and nitrate)? Matt Greco. 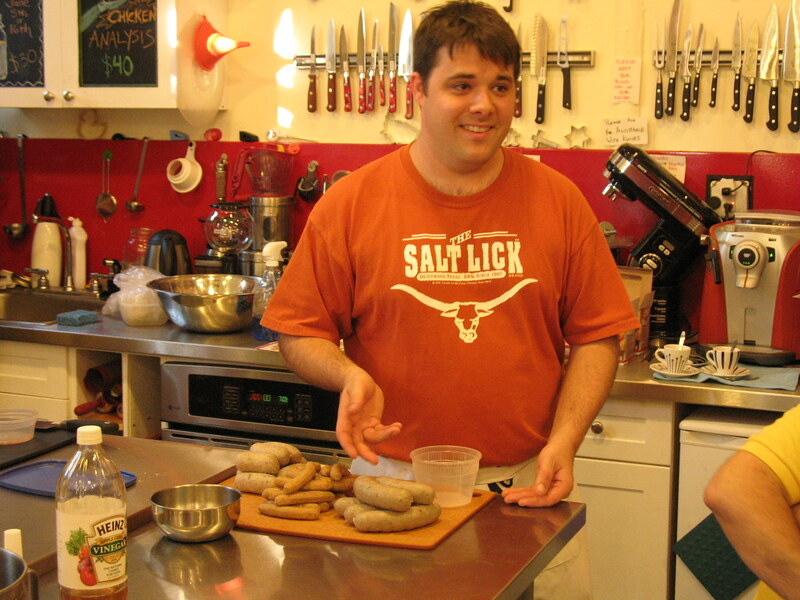 A chef at Cafe Gray, Matt led a class at the Brooklyn Kitchen last week on charcuterie basics. By the end, we’d had ourselves a bonafide sausage party — in that we all devoured plenty of homemade sausages and beer, but also, I was the only chick in attendance. It was the real deal. Woot! But seriously, I learned a great deal on that oft-joked about dish we call sausage. Particularly, on the common-sense theory behind it, and the simple methodology of it. As a way of preserving as well as using up bits and scraps of various leftover meats, sausage makes humble cuts look and taste impressive. And when you have scraps of really expensive meats, bundling them up in a tidy intestinal sack doesn’t hurt, either. Matt explained that at work, the kitchen might end up with excesses of really luxurious products like duck legs and terrine. He developed his own recipe for a fois gras sausage from these ingredients, and brought in a few links for us to taste. 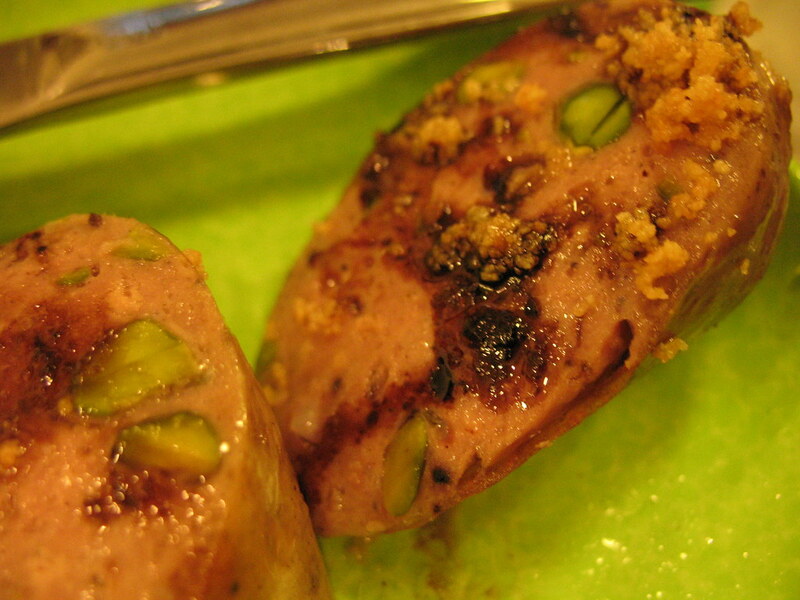 As much as I like duck and terrines on their own, the synergy of this sausage may have trumped both. Matt grew up eating sausages that his dad occasionally made at home — usually from venison. Always wanting to improve the recipe (he found venison too gamey), he’s been inventing and reinterpreting spice combinations for sausage throughout the years. A classic breakfast sausage’s spices, for instance, are mainly garlic, sage and paprika, but Matt opted for the sweetness of smoked paprika for his version, shared with the class. To get started, he recommends using pork shoulder with about 25% fat ratio, and separating the lean chunks from the fatback. Most sausage will have around 33% fat, according to Matt, and any less than 25% is getting into non-sausage territory. “Every sausage has fat. If it doesn’t, it’s not sausage,” he said. 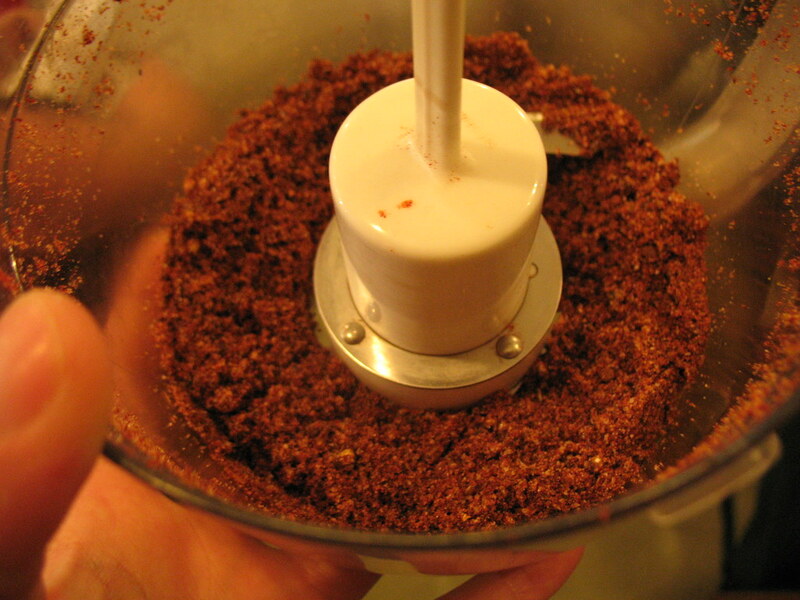 Working with very cold, semi-frozen meat is imperative for attaining the right texture when grinding, also. After he cut up the meat into cubes, he chilled it in the freezer to ensure it was cold enough to run through the grinder. When the meat comes out, it should look like separate, small little chunks, not a sticky, congealed mess. This creates better texture in the eventual sausage. Another surprising discovery to note: once it’s ground, the meat is mixed with a little water to create the “primary bind.” Evidently, sausage meat is an emulsion of proteins, water and fat, much like mayonnaise. 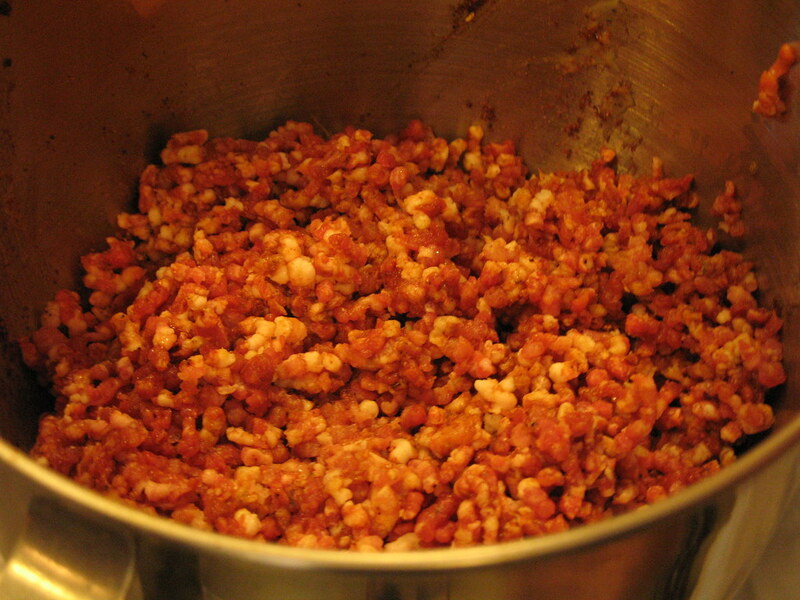 Once a little water has been blended into the fatty meat, the mixture holds together, which is what you want to see lest the finished and cooked sausage crumble apart when cut into. The chunkiness of the ground meat will still remain, keeping it a sausage and not a completely even-textured emulsion like bologna or hot dogs. With these types of sausages, there’s no need to cure for many months in a controlled temperature, or hang them from your ceiling like punching bags or unsightly garlands. 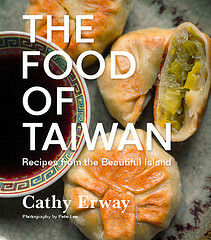 They can be (and were) eaten right away, after twisting the casings shut. You don’t even need the help of three or four sets of hands, like we did at the class, to make a classic pork sage sausage. But if you are making these in the midst of a group of people, you definitely don’t want to be the one stuck with the role of fitting the slippery, clear white hog casing onto the stand grinder’s, er, spout. Trust me, this was almost too embarrassing to even watch someone else do. Humility aside, the stuffing process took under five minutes, and the work paid off handsomely when we all got to dig in and taste the results. 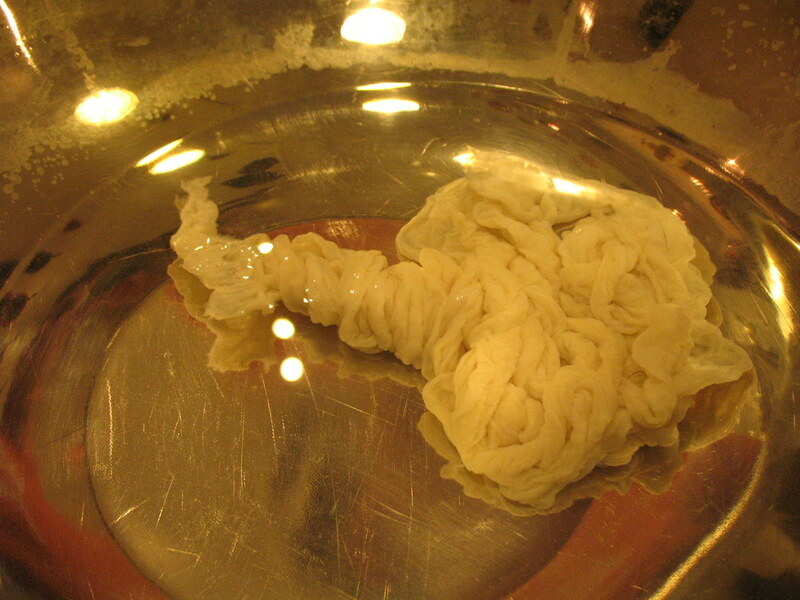 Matt expertly twisted the finished snakelike roll of sausage into seven links like a clown twisting balloons into animal shapes (now there’s a thought — animal sausage link formations!). Finally, once the sausages are done, Matt likes to poach them before freezing (if not using immediately). This firms up the texture a little, helping to “set” the shape and flavor and making them easier to thaw later on. So if you don’t have time to check out another class at the Brooklyn Kitchen, there’s a few good books on the subject that Matt recommends: Charcuterie by Michael Ruhlman (which is available at the Brooklyn Kitchen), Cooking by Hand by Paul Bertoli, and just as an extra guide, The River Cottage Meat Book. But if you’re feeling set to tackle the challenge already, here’s Matt’s recipe for the sausage we made in class. 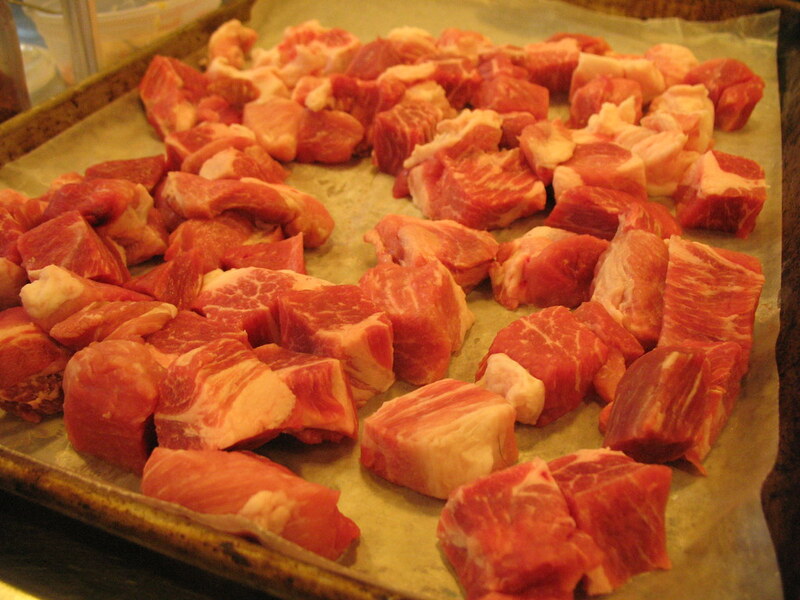 Cut meat and fat back into 1 inch pieces. 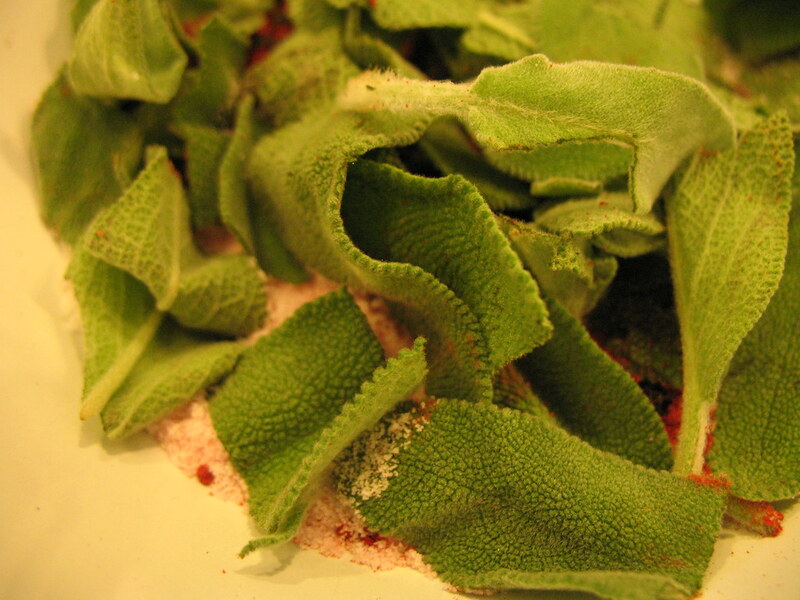 Combine the salt, sugar, insta cure #1, smoked paprika, black pepper, and sage in a spice grinder and grind into a fine powder. Mix together the meat, fat back, garlic puree, and ground spices. Lay meat out on a sheet tray with parchment paper and place in the freezer until almost completely frozen (you can also freeze meat and fat back ahead of time and later combine with ground spices). Grind meat and fatback through the medium die. 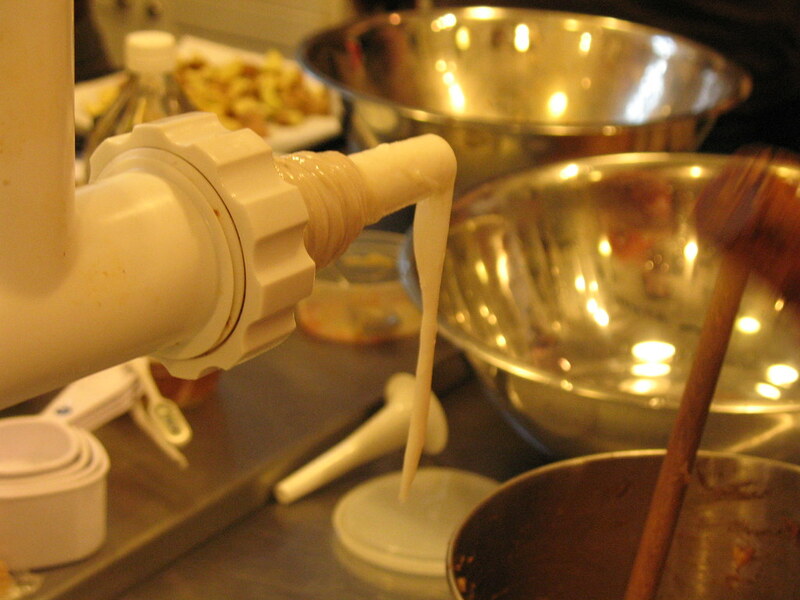 Place in the mixer with the paddle attachment on a low speed and slowly add the water. Making sure the meat is still cold, mix until the meat and fat are bound and tacky to touch. When you run a spatula over the mix it should have a smooth finish. Let product rest and marinate for one day. Stuff into hog casings and turn into links. 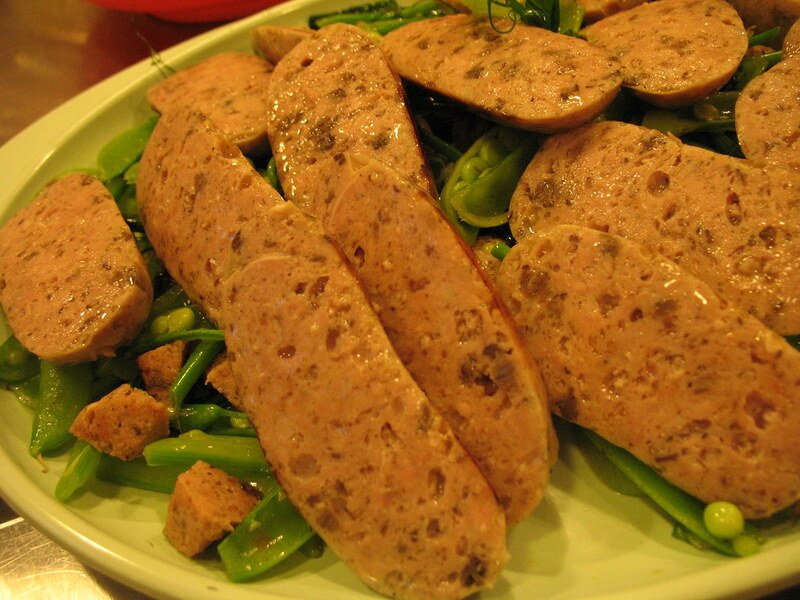 Slowly poach in water until the sausages feels firm and then transfer to an ice bath. Note: Because this recipe is not my own, I respectfully restrain from determining the Cost Calculator, Health Factor and Green Factor ratings found at the end of my recipes on this blog. 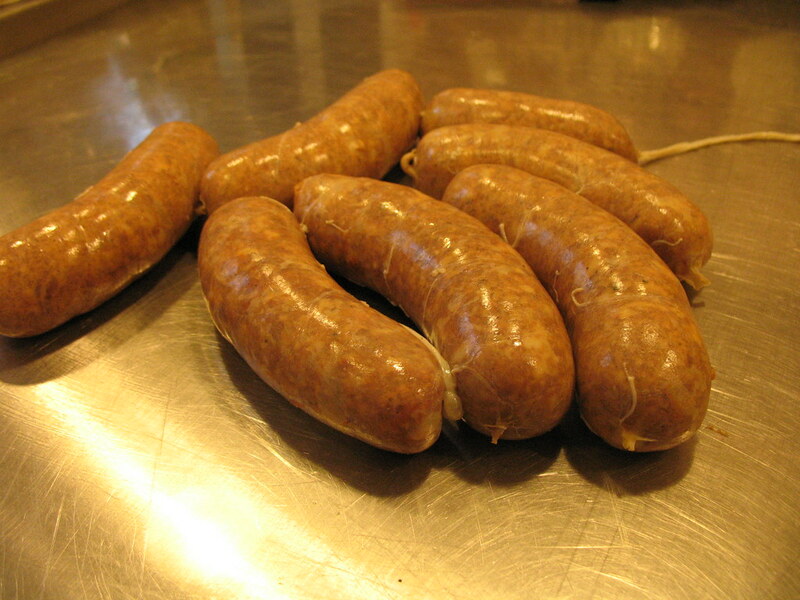 However, Matt noted that the pork used to make these sausages came from a Berkshire pig at a farm he commonly buys from in upstate New York. 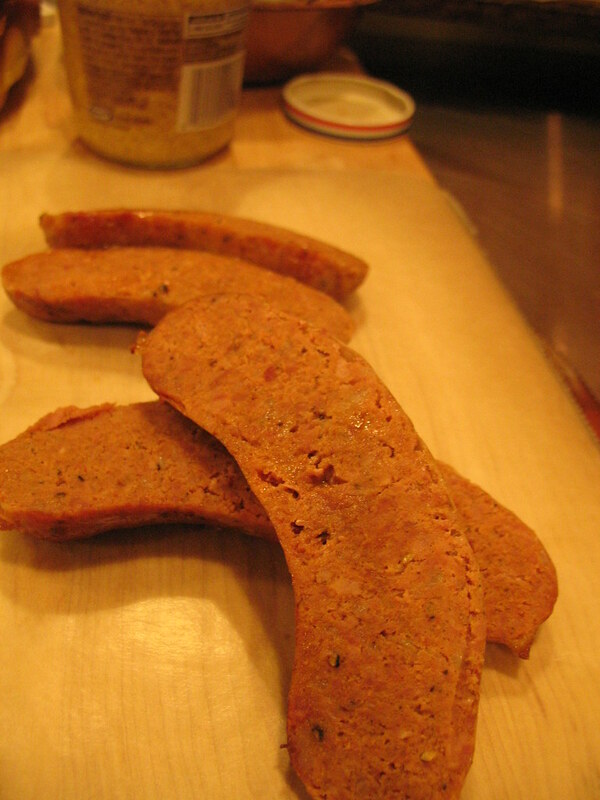 Wow – I was just researching meat grinders today because I feed my doggie’s raw and it could save me money and the thought of homemade sausage is really enticing. Then I saw this and now I think… it’s a sign! There are some very reasonably priced ones (read: under $100) that have great reviews – I specifically need to grind bones along with meat. Thanks for this – it all looks so yummy! It’s spicy and flavorful and chunky. Used to eat it every summer at my Grandma’s in NC. This is one of your best posts yet! (well, in my opinion). I have been vegan for 3 1/2 years now, and one of the main reasons I stopped eating meat was the huge distance between the food source (the animal) and me. If I could participate in or even understand the process whereby the animal is slaughtered and the meat is processed and prepared, I would consider reintroducing it into my diet. 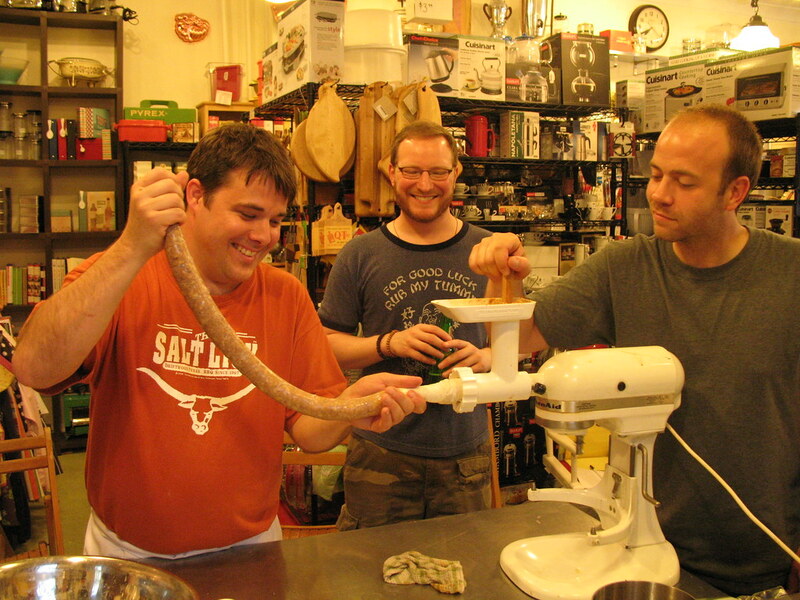 I really, really enjoyed this step by step walk through sausage making. Thanks! PS I realize there are ways to learn about these processes. I should say that I gave up meat due to a combined lack of understanding and unwillingness to put the time into understanding. Of course, the availability of from-farm-to-butcher-to-you meat depends a lot on where you live (I’m from Iowa where this isn’t completely rare) but my parents annually order a pig or cow from a local farmer and have it sent to the butcher. They spend some time picking out particular cuts or seasonings that they prefer, and different butcher shops will offer different services. It’s a lot of food, no doubt, so it’s often shared amongst family members. I have a Kitchenaid with the meat grinder attachment. I looooove it. I use it for grinding up meat for a country style paté I make every Christmas. thanks for your info. I have heard about those farms here in Wisconsin as well (turns to the left and waves) and I respect the hell out of them. I also love the writing of Mary Oliver (ie “Blue Pasture”) and Catherine Friend (“Hit by a Farm”) because they talk about the process of raising and/or hunting animals, killing, processing, and eating animals. (Friend writes, in particular, about eating her cutest lamb). I love this writing and the availability of those farm programs. I guess I feel that in my life right now I don’t have the time, energy, interest in really researching the meat I eat. But I respect the availability of the information and I really, really respect people who eat meat and dairy in a mindful way. Not least of all because they are less lazy than I am! We are a supplier and exporter of slted hog casings,our e-mail adress is [email protected]. We are glad to get your information.